The Spotlight by Brittany Shawnté: Rapper J-Kwon Gone Missing? *UPDATE!!!!! * As I figured, J-Kwon was just taking some time away for himself. He came out and said that he was fine the day after the news that he was missing came out! 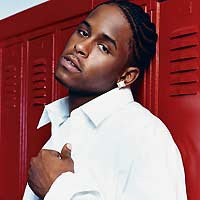 Wow, so according to VIBE.com, St. Louis rapper J-Kwon, known for his 2004 hit single "Tipsy",is said to be missing. He has not been heard from in over a month, according to reps from his label Gracie Productions. “J-Kwon is a big part of the Gracie family, and we are obviously increasingly worried and want to make sure he is ok," said label CEO/President Tony Bucher in a statement. "We’ve already received thousands of emails from fans and supporters who are worried about J-Kwon, and we want everyone to know how much we appreciate the love and support,” he continued. “If anyone has seen J-Kwon or has access to him, please let him know we are worried about him, and please let us know everything is ok."
Woowwww....I pray that he is okay. Maybe he just took some time away for himself and didn't want to tell anyone. I don't know. Hopefully he's fine. Some people are saying this is a publicity stunt by the company since none of his family and friends have come out to the news and because this news comes a month after him first going missing. However, since I personally don't know what's up for real, I'm treating this as if he really is missing since he very well could be. If anyone knows of J-Kwon's whereabouts, contact Gracie Productions, Inc.802 Mulberry St. Suite H-1 Noblesville, IN 46060 (317) 652-5104. Keep him in your thoughts and pray for his safe return.